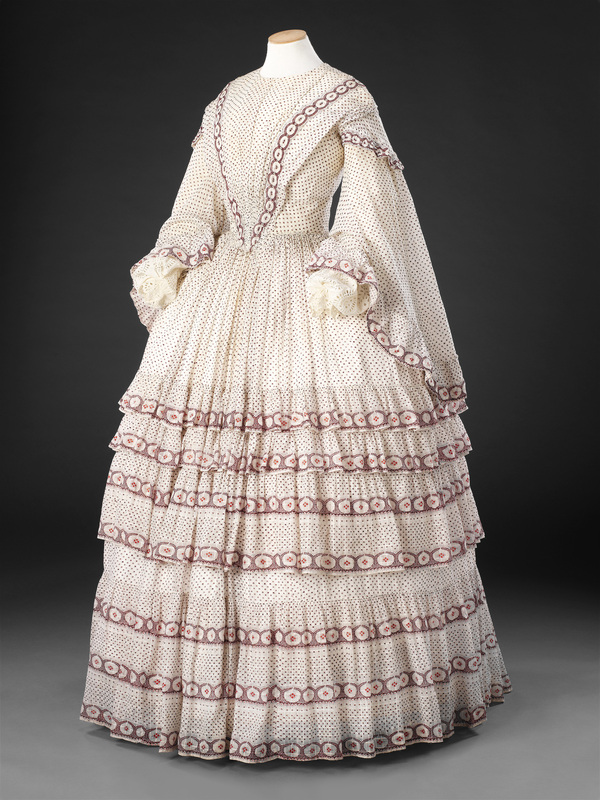 Before it entered the collection, this dress was worn by Lisa Eichhorn as Gertrude Wentworth in the cinema adaptation of Henry James’ novel The Europeans. 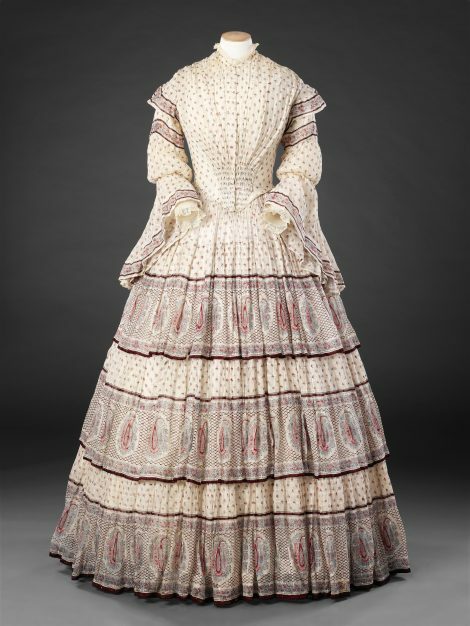 The film, released in 1979, was directed by James Ivory and produced by Ismail Merchant, with costumes designed by the late Judy Moorcroft; it was the first major collaboration between the costume house Cosprop and the Merchant Ivory production company. James’ novel, published in 1878, was set in 19th Century New England, and, like many of his works, deals with the contrasts of European and American manners and conflicts between old-world sophistication and new-world innocence. 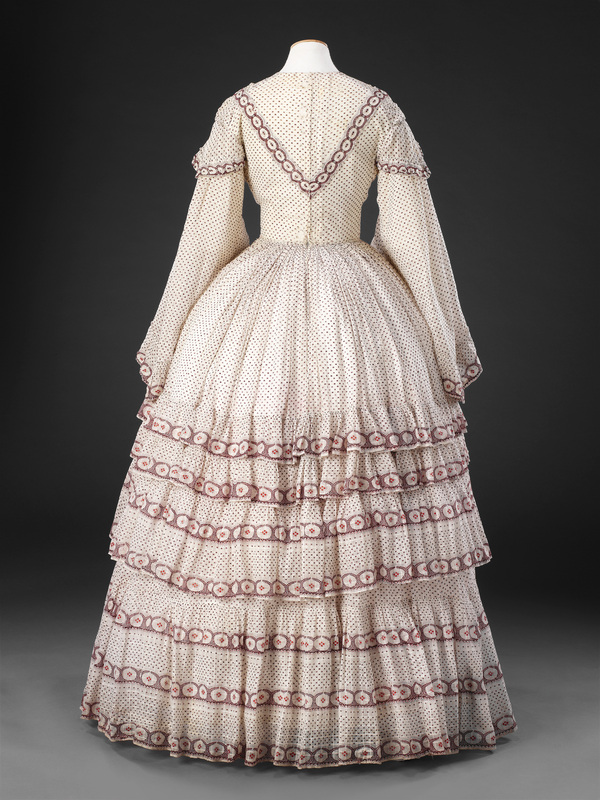 James used the dress of his characters to illustrate and elucidate these issues. 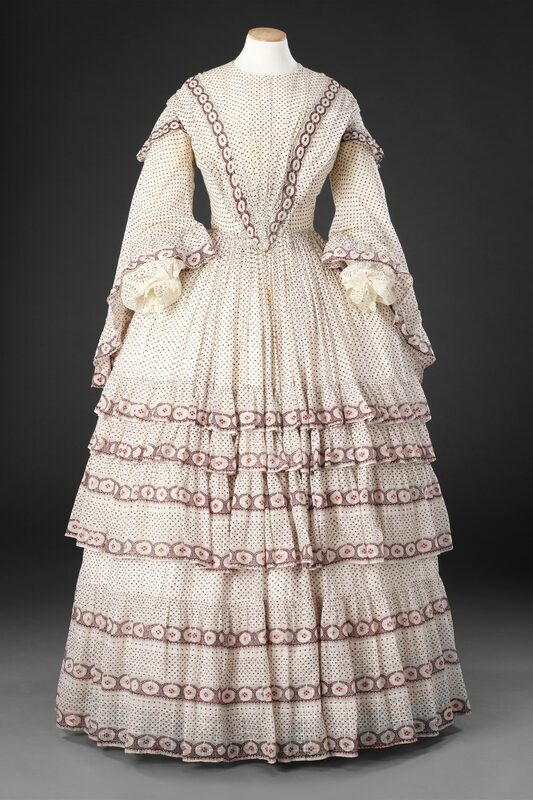 He described Gertrude Wentworth (a new-world innocent) as having ‘a physical delicacy which seemed to make it proper that [she] should always dress in thin materials and clear colours’. 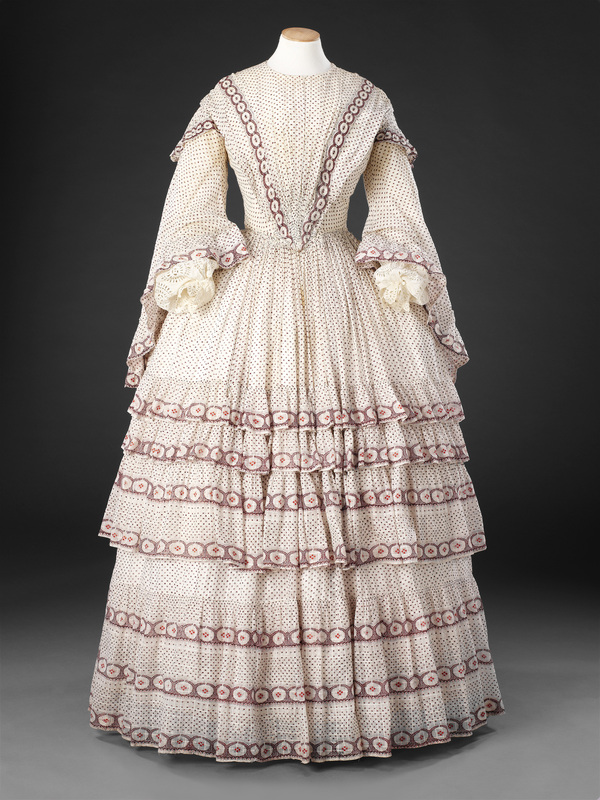 This dress of muslin printed in a simple two-colour sprig pattern was therefore a very appropriate choice for her character in the film.